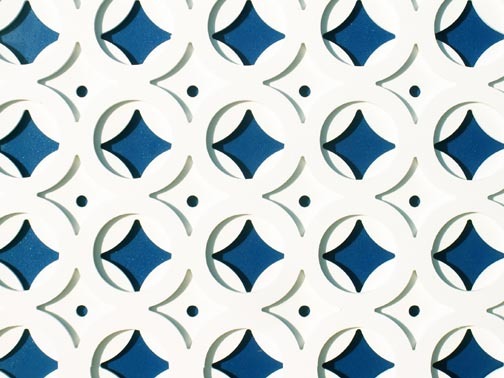 After I wrote about Lynne and her vintage room divider, I got to poking around the internet looking for companies that made decorative panels that might be appropriate for mid century modern homes… and found my way to this company, Acurio Latticeworks, which has an intriguing product. 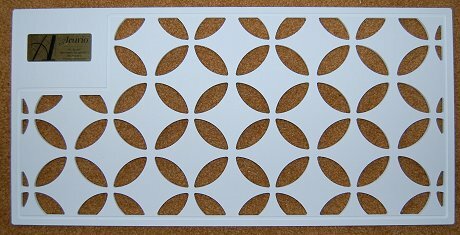 Basically, it seems that they take 3/8″ PVC panels and using computer controlled cutters, machine the panels into all kinds of designs — including ones that have a classic mid-mod look. Now, I was kind of skeptical at first, thinking the product might feel “cheesy” or “cheap”, but the nice marketing team actually cut me some 12″x24″ samples and mailed them to me for a look. I like them – they have a nice hand-feel… they are not “shiny” like vinyl fences (not my favorite thing), and they take paint. Also, they said that if you didn’t want PVC, they could do them in MDF — which is going to be heavier, including to ship, but might be a better solution depending on the application. 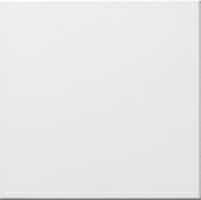 Price: 1/4″ x 48″ x 96″ — PVC — Any design, White or Black @ $68.00 per panel (as of earlier this year, please check for update). What might I use these for? Well, first of all, I do think these design are more appropriate for a mid-century modern home — they have that modern, atomic feel. In my colonial-ranch, for example… I don’t see them suiting the vibe. Acurio shows them used as a deck liner: yes. That’s the “four point star”, above. As a privacy screen: yes. 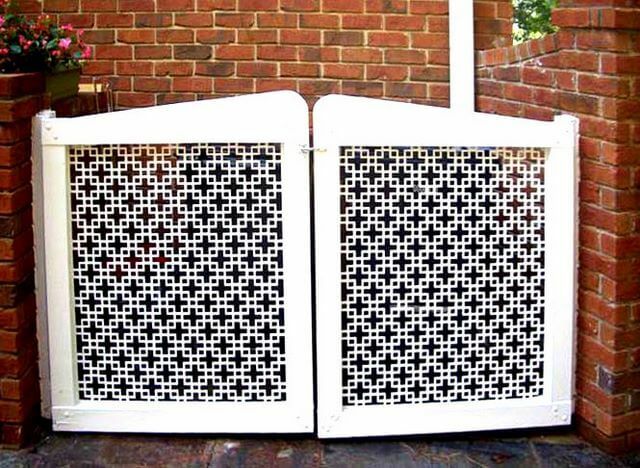 As a gate insert: yes. 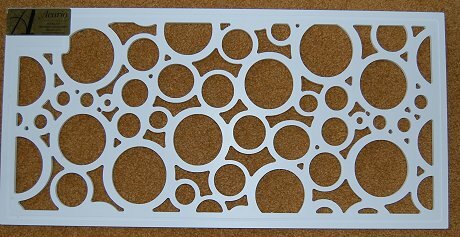 I also think they could be used to construct an interior room divider – like Lynne’s. I think I would go for the MDF, though — you want a “substantial” not flimsy feel for something that big and which you will be so in your face. Another way to get a thicker installation would be to layer some designs — the one above is two separate panels layered; I’d repeat the circle on the other side and make a sandwich – it would cool from both directions, that way. I’ve also seen screens sitting on top of bathroom vanities creating a divide with the toilet — that would be an idea, too. Planters? 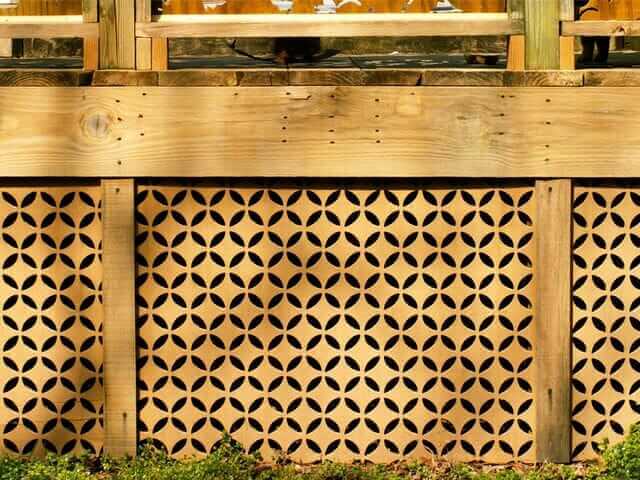 Potting benches? 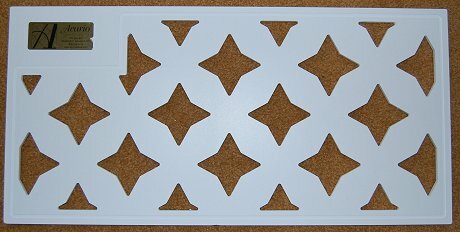 Decorative folding screens? 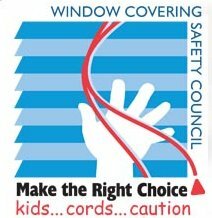 New EPA lead-safe rules for contractors and painters: Do it right. Renovate Safe. amazing! Thanks for sharing! 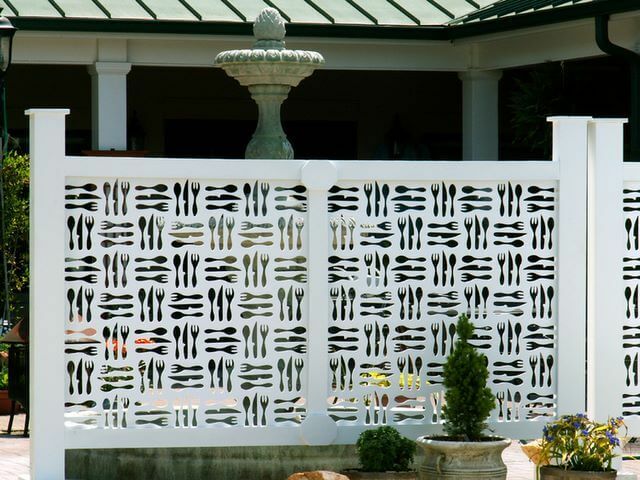 plans to work on our patio & yard soon and these would make great privacy screen/dividers! haha, i need a self-imposed “new projects moratorium” too! Maybe this would do the trick! 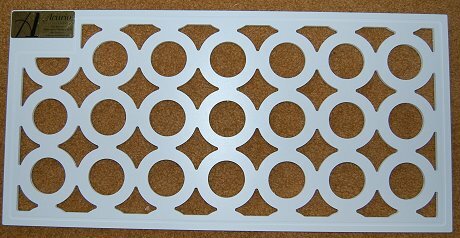 I have been looking for outdoor lattice to screen our new huge bathroom window. 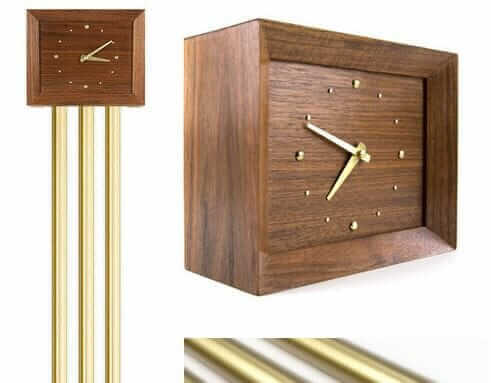 I just found this http://www.latticestix.com/index.php?cPath=581_611. Very authentic and really cool. We may use it. Nice! Thanks for the tip, Rebecca! thanks for the great deck skirting – I love it!